My love of the salty goodness of feta is well documented on this blog and my waistline. 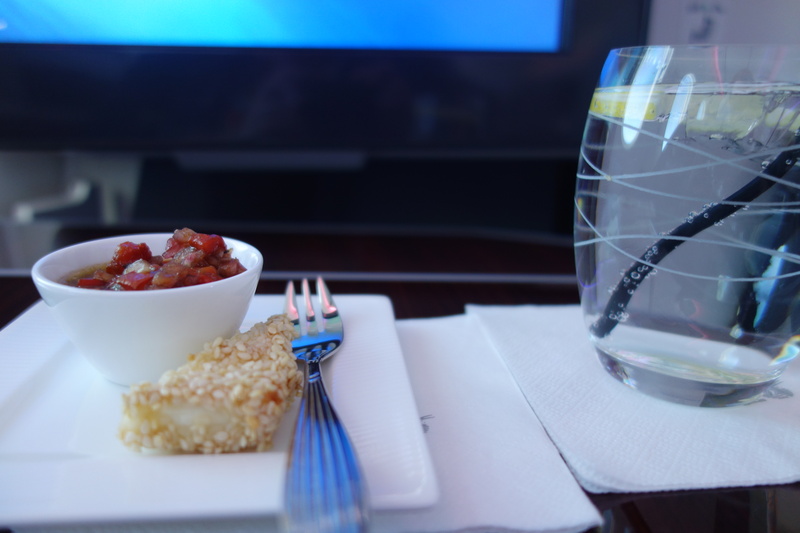 So I was the happiest traveler in the sky recently when I had the chance to fly from Stockholm to Doha on the Qatar Airways Dreamliner and the menu featured this tasty little morsel. 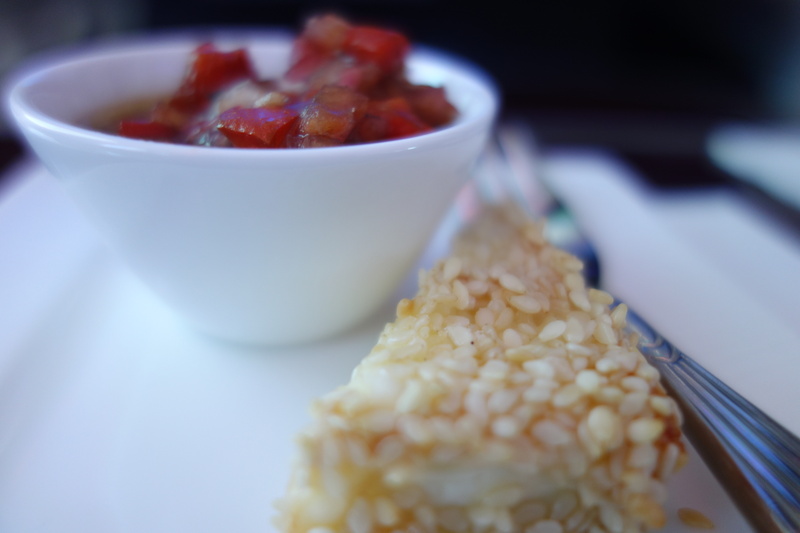 A moist piece of feta cheese, rolled on sesame seeds. For once also served at the right temperature, along with a tomato salsa. I am learning that feta, in some for or another, is made in countries around the world. It is simply a farmer’s cheese and I have tried varieties in Turkey, Central Europe and of course, the Middle East. BUT To be called “feta,” a cheese must be produced in Greece. Regardless, it tastes divine and in this incarnation, probably made in Sweden, it was the perfect mix of salty, crunch and sweet. 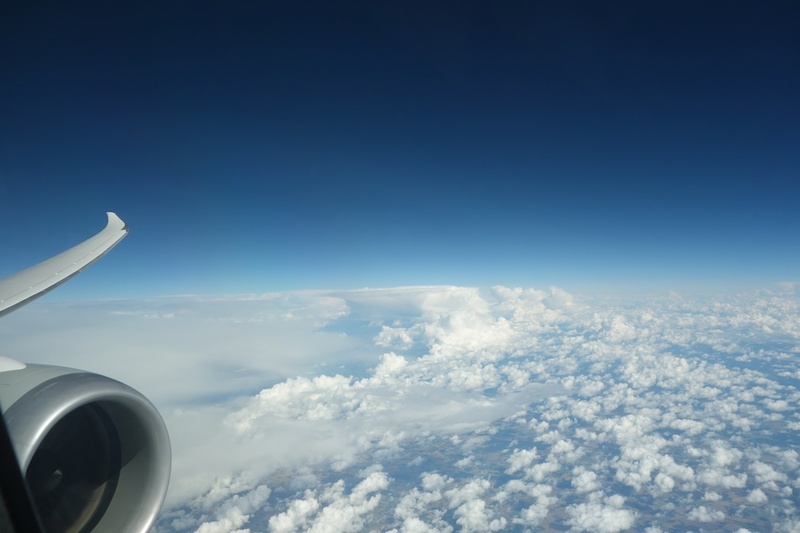 Before I sign off, here is a snap of the view from my seat…already planning my next trip. I’ve never enjoyed a feta prepared that way. It looks divine.